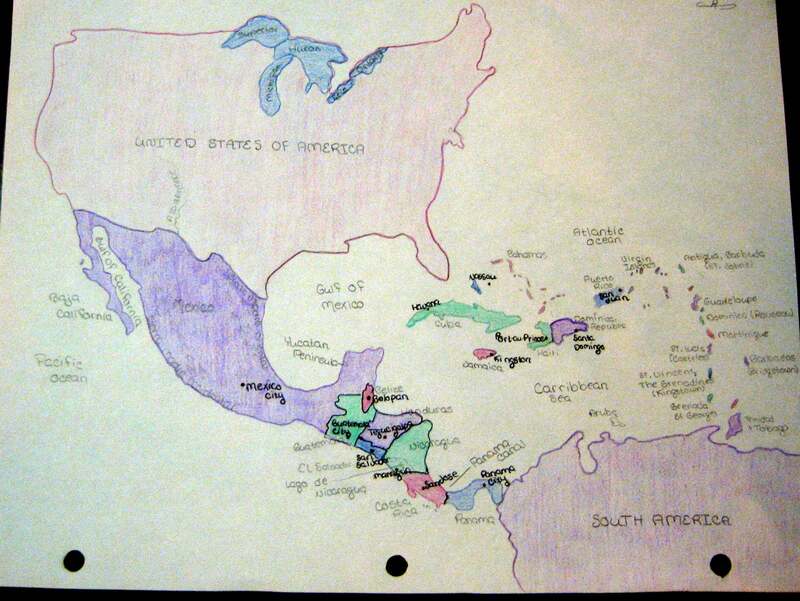 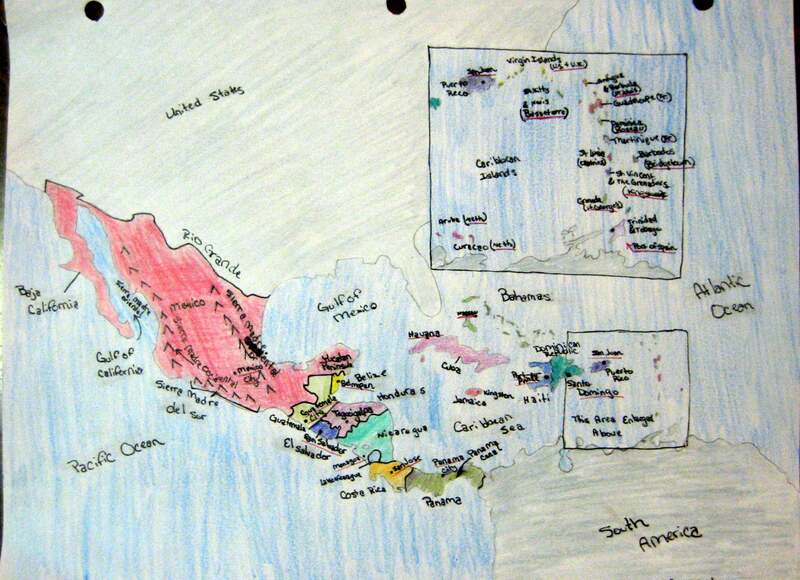 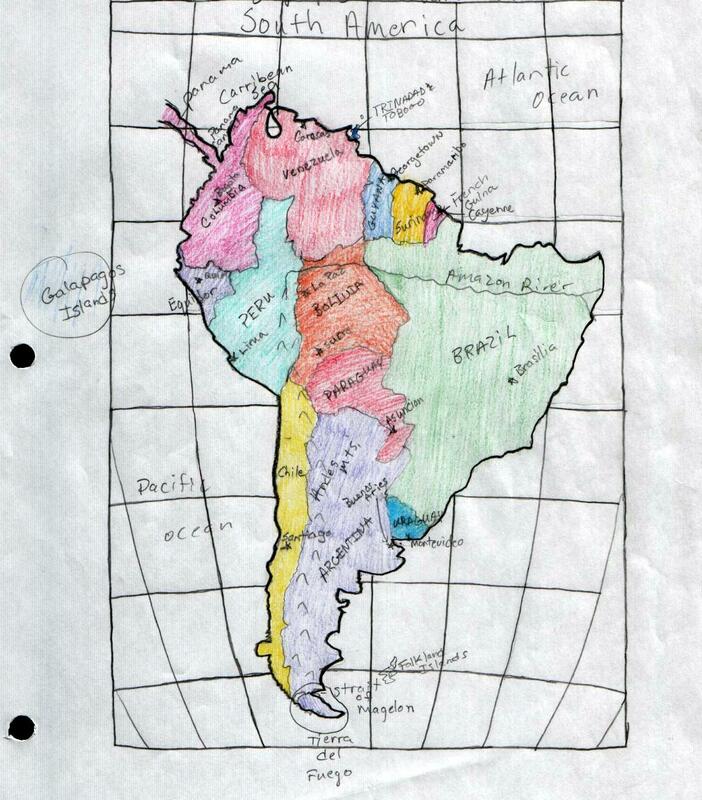 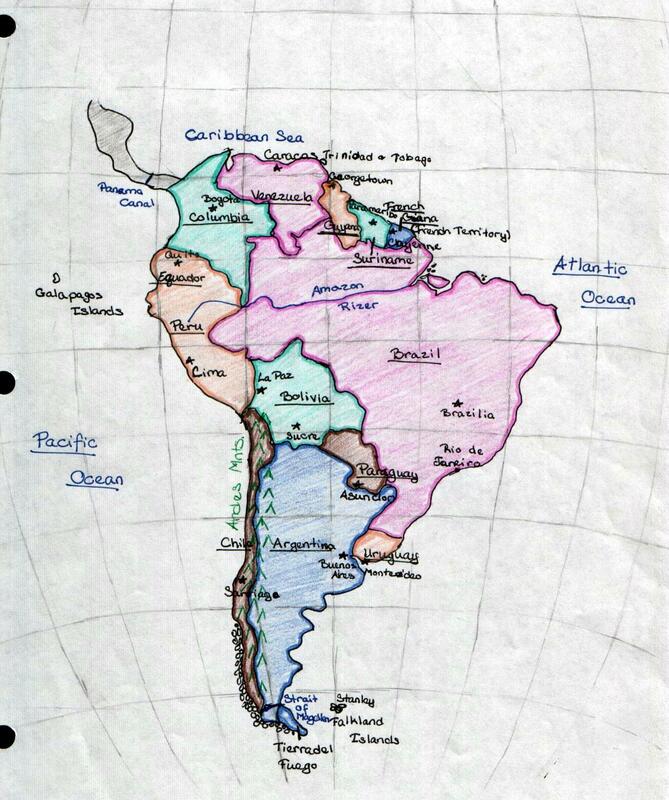 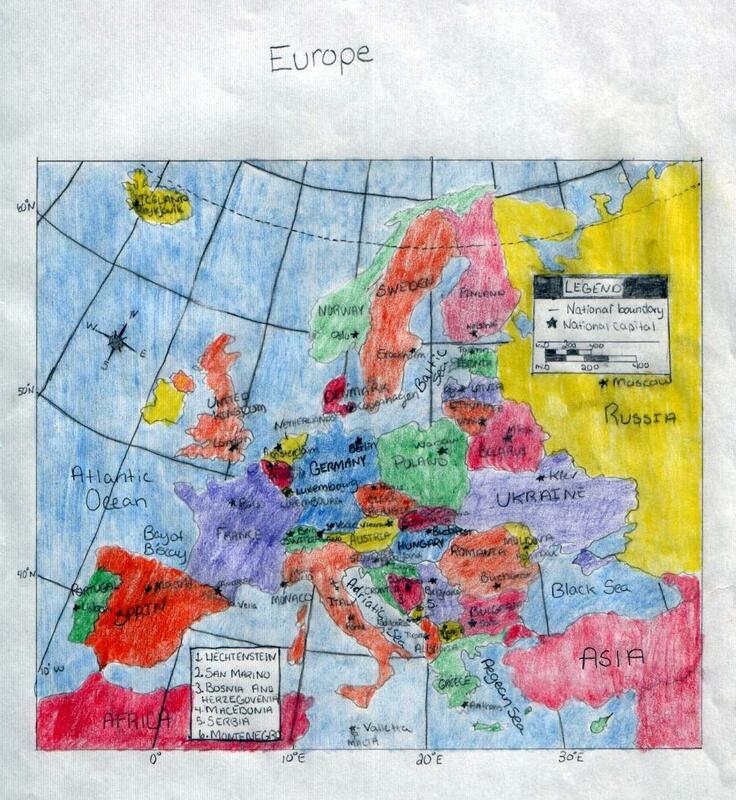 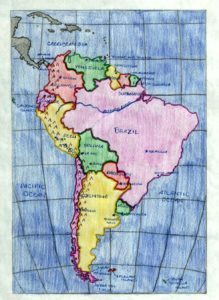 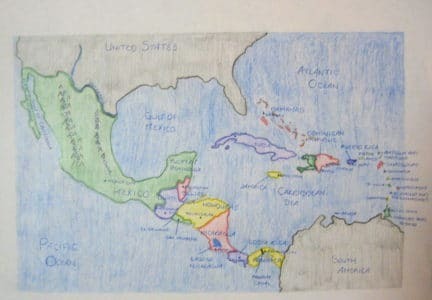 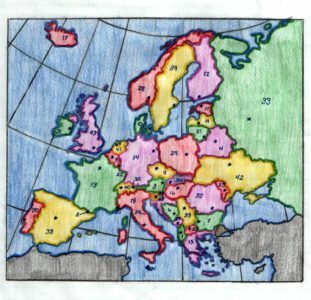 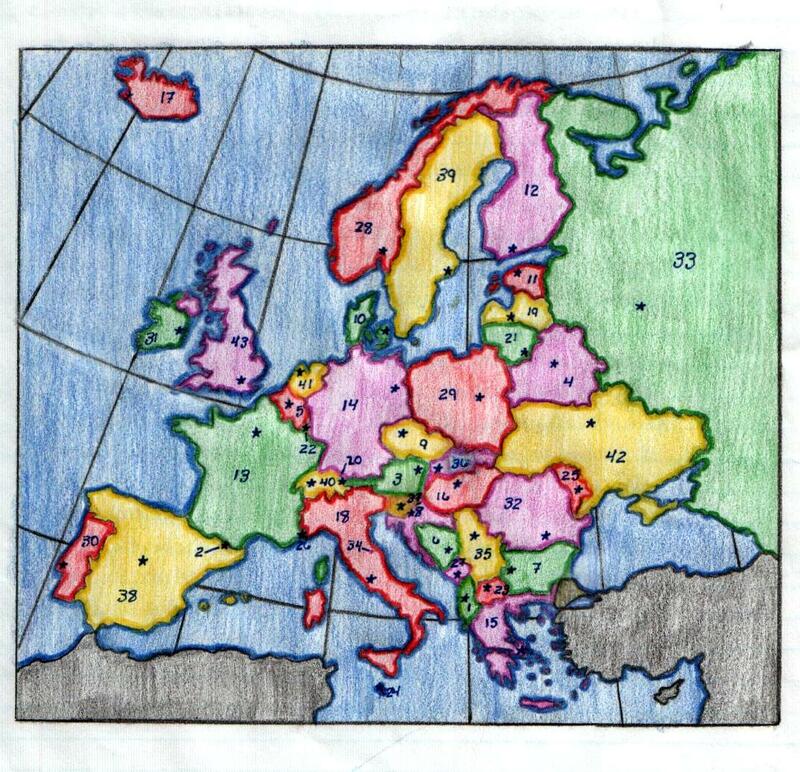 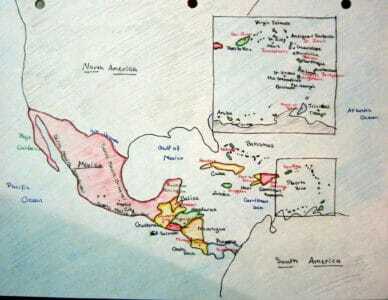 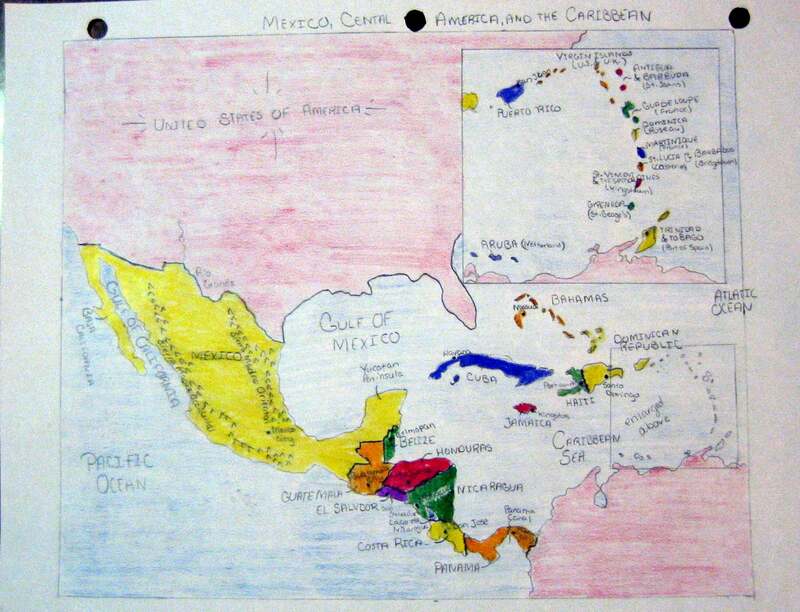 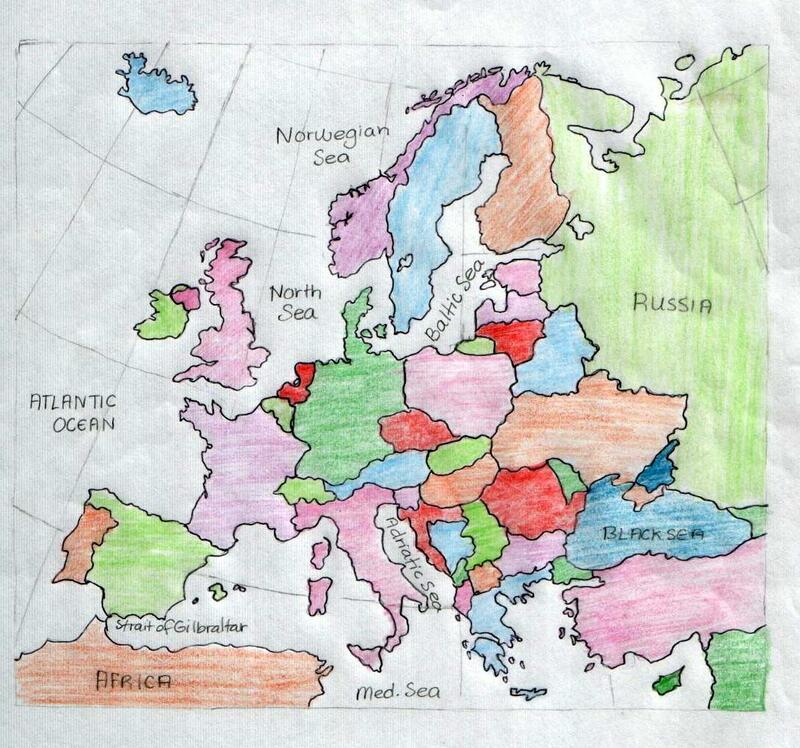 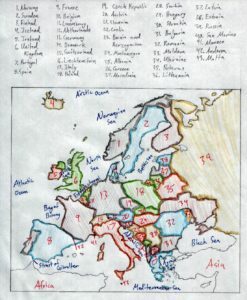 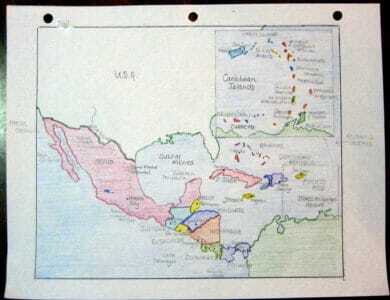 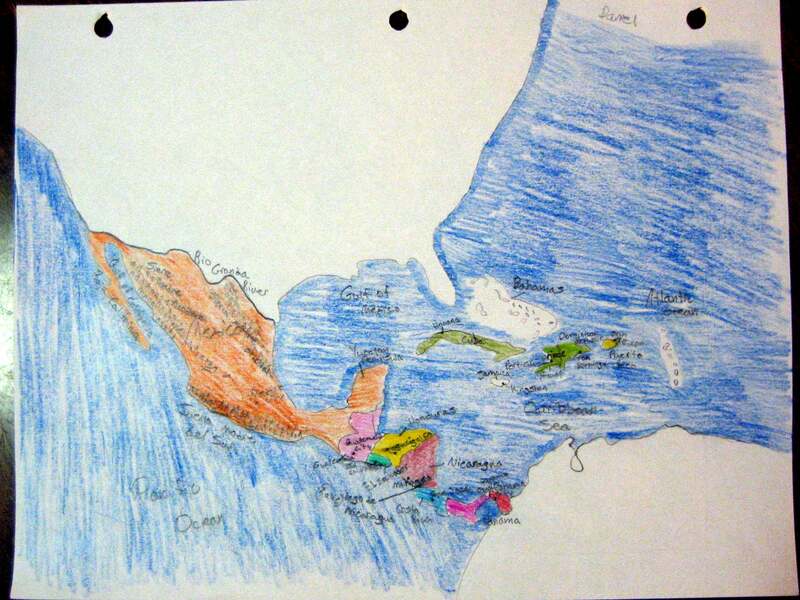 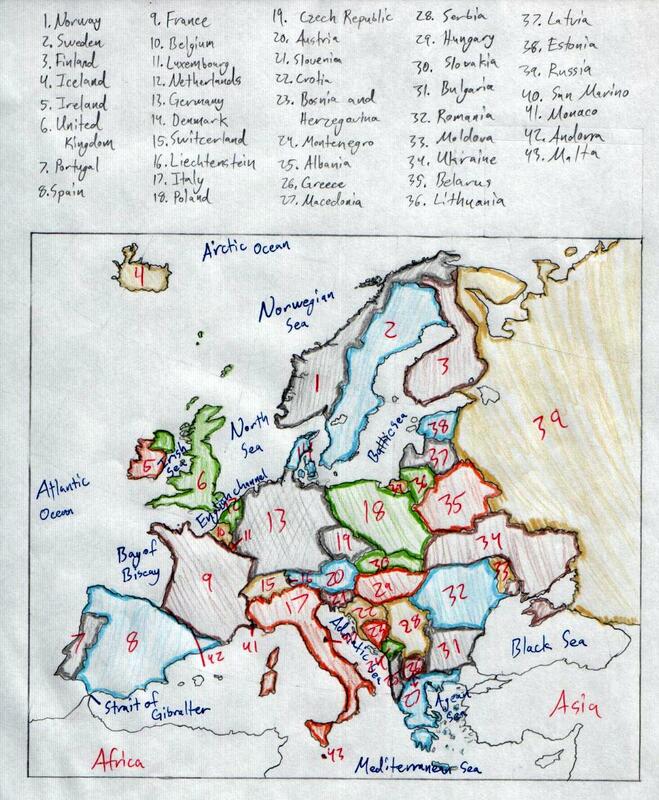 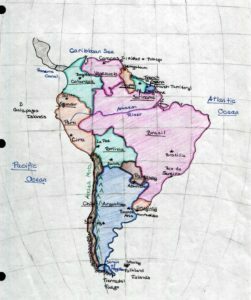 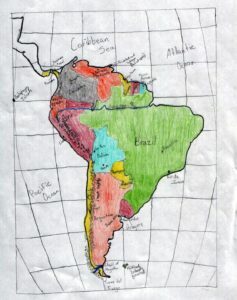 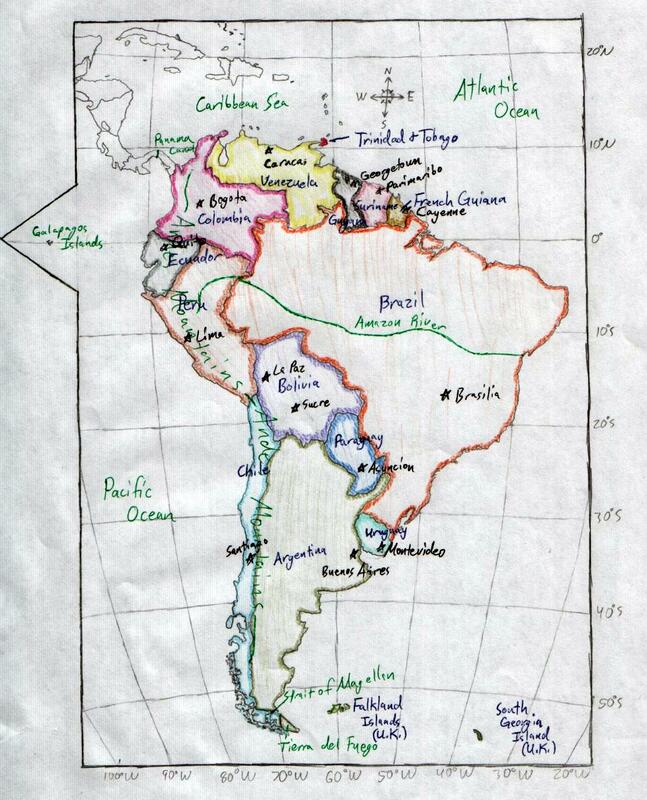 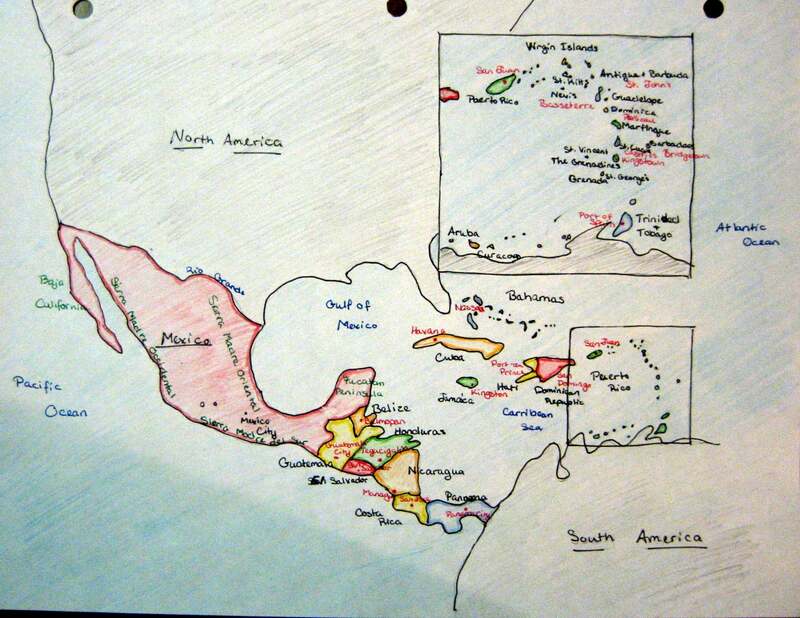 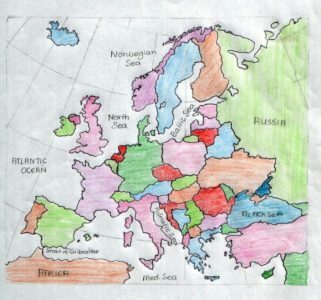 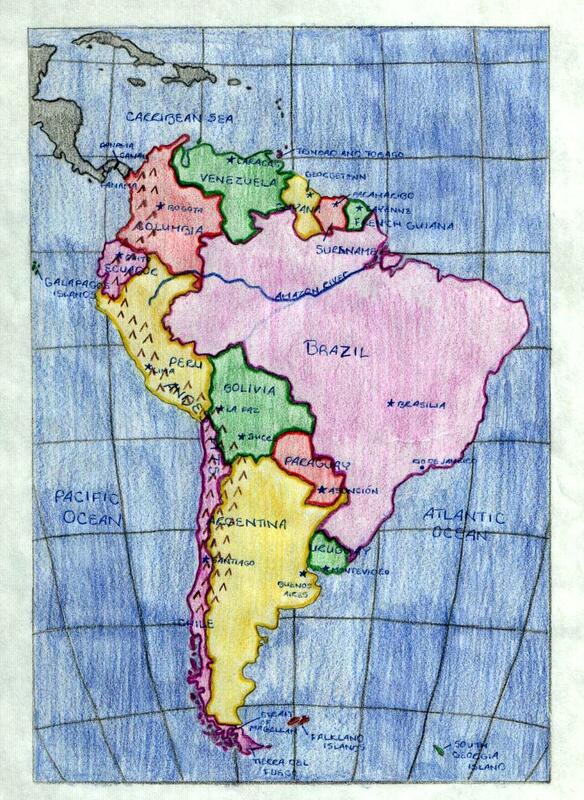 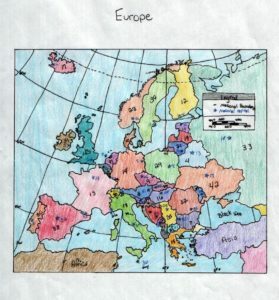 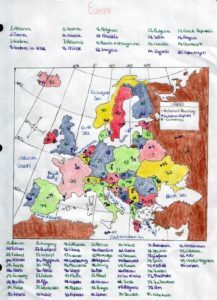 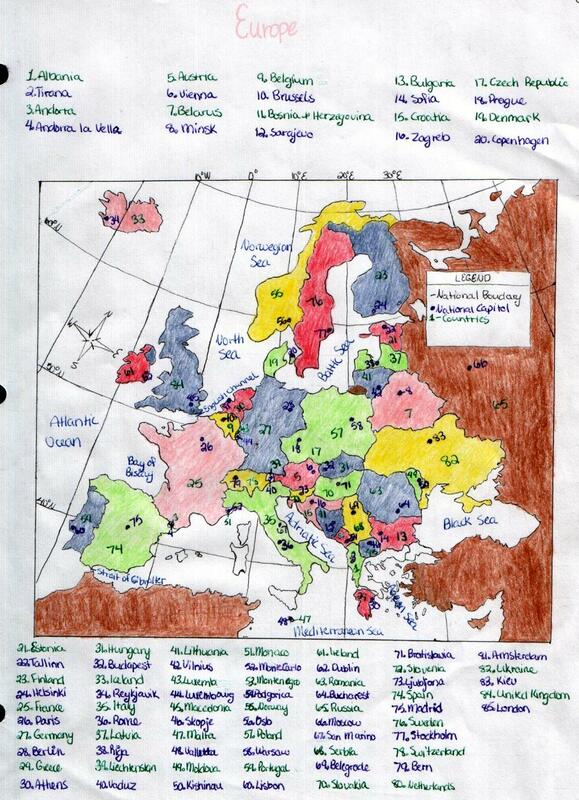 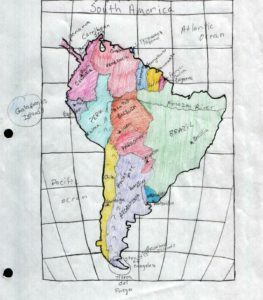 Some pictures of student-drawn maps for the final map drawing project in World Geography. 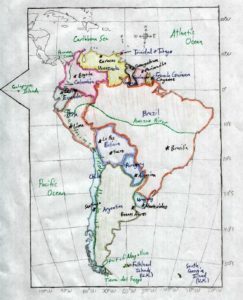 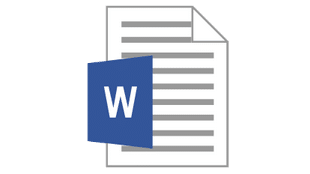 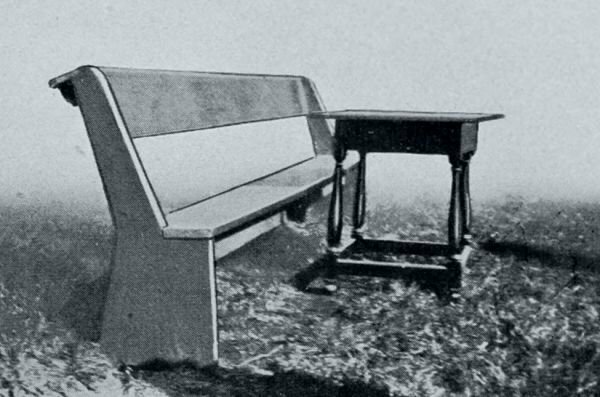 Click on an image for the full-size file. 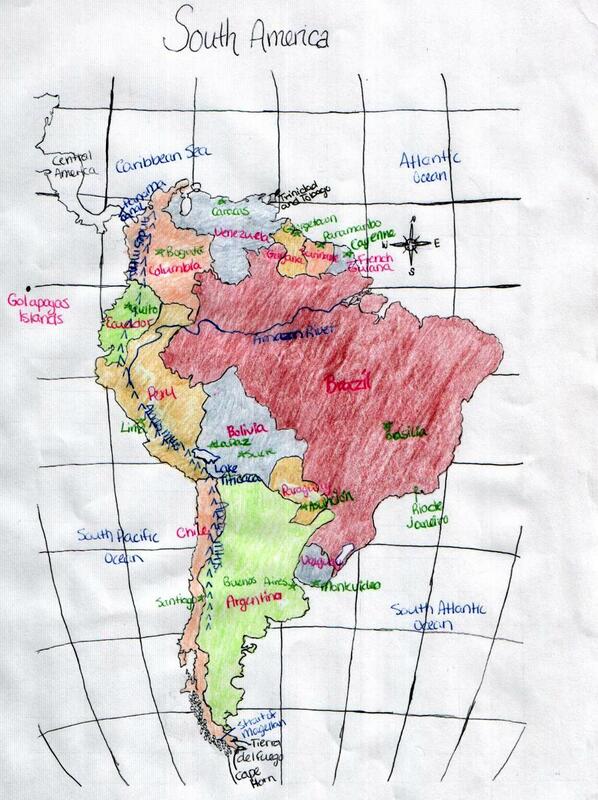 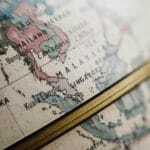 Lyndon illustrates geography-teaching methods and activities. 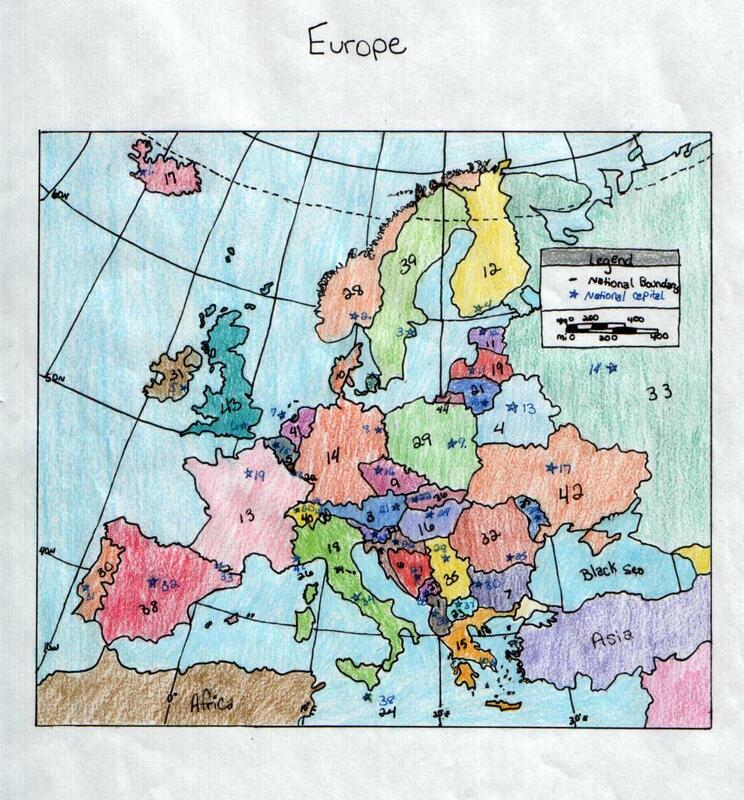 Courtesy Christian Light Education (CLE).